We are proud to announce that this Aug 30th, 1:00 PM to 2:30 PM we will be hosting an Open House at 6588 NELSON Ave in the Metrotown neighborhood, Burnaby South. This is an opportunity to visit this excellent Condo for sale in beautiful Metrotown. We are proud to announce that this Aug 29th, 2:00 PM to 5:00 PM we will be hosting an Open House at 3433 AMBERLY PLACE in the Champlain Heights neighborhood, Vancouver East. This is an opportunity to visit this excellent Townhouse for sale in beautiful Champlain Heights. We are proud to announce that this Aug 23rd, 2:00 PM to 4:00 PM we will be hosting an Open House at 6588 NELSON Ave in the Metrotown neighborhood, Burnaby South. This is an opportunity to visit this excellent Condo for sale in beautiful Metrotown. 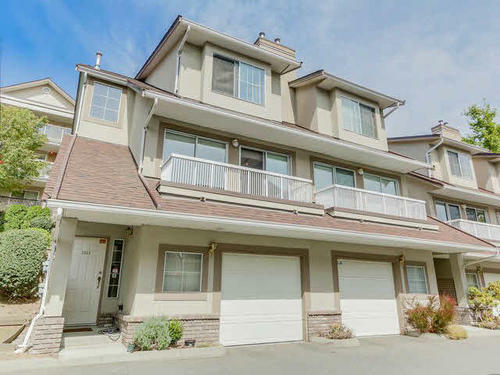 I just sold this Townhouse at 8 8476 207A Street, Langley BC, Langley , BC Willoughby Heights. We are proud to announce that this Aug 15th, 2:00 PM to 4:00 PM we will be hosting an Open House at 6588 NELSON Ave in the Metrotown neighborhood, Burnaby South. This is an opportunity to visit this excellent Condo for sale in beautiful Metrotown. We are proud to announce that this Aug 16th, 2:00 PM to 2:00 PM we will be hosting an Open House at 6588 NELSON Ave in the Metrotown neighborhood, Burnaby South. This is an opportunity to visit this excellent Condo for sale in beautiful Metrotown. We are proud to announce that this Aug 15th, 2:00 PM to 4:00 PM we will be hosting an Open House at 9566 TOMICKI Ave in the West Cambie neighborhood, Richmond. This is an opportunity to visit this excellent Townhouse for sale in beautiful West Cambie. Please come with any questions you may have. In the meantime you can take a virtual tour of this West Cambie Townhouse for sale. I just sold this Townhouse at 4 3582 WHITNEY Place, Vancouver East, British Columbia Champlain Heights.